I love my job most every day, but I especially love it today…because I get to talk about survival uses for hard liquor. Now before you get all excited, this is NOT a list of 23 ways you can get drunk to forget about the crises occurring outside your door. …I may have lost a few people there, but I figure it’s best to disappoint early. Turns out this blog is actually quite a bit more useful than just knowing how to drink too much – there’s tons of cool tricks I can teach you that’ll make you want to throw a bottle in your bug out bag. Let’s just be honest – nobody smells like roses when SHTF. Never fear – your good ol’ buddy alcohol is here! Simply dab some hard liquor under your armpits and the alcohol will prevent bacteria growth (and therefore stop you from smelling bad). Or, if you just want to use the real thing, we’ve got real deodorant in these compact male and female hygiene kits. Morale can get low quickly in a crisis, especially in big groups. In order to help prevent fights breaking out amongst your peers, try a little gift of hard liquor. They’ll (hopefully) settle down and be in a better mood in no time. 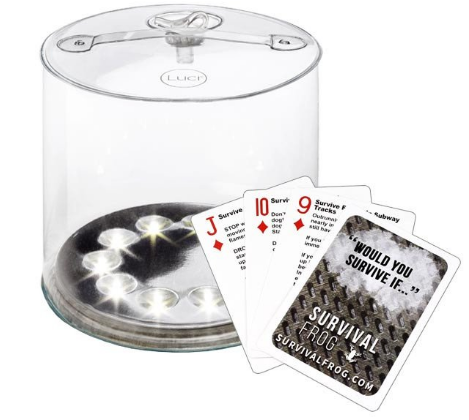 Note: If you want a different kind of morale boost, you could always go for our awesome solar air lantern with FREE survival tip playing cards combo! Compact, fun and informative! Check it out here. With bourbon, a little honey, and lemon, you can make a hot toddy. Not only will this beverage soothe your sore throat, but smelling the steam from the drink can also help loosen mucus in your nose and throat. If you’ve got a camp stove, you can use a highly flammable liquor, such as everclear, to replace your fuel. Or, if you’d rather have a compact (yet powerful) stove that already comes with fuel and that’ll fit in your pocket, you could try ours instead! See it here. You can remove the stains from your clothes by spraying them with clear alcohol and then scrubbing. Works like a charm! Alcohol helps to remove water. Since mold needs moisture to survive, you can dry up that moisture using alcohol. No more mold! 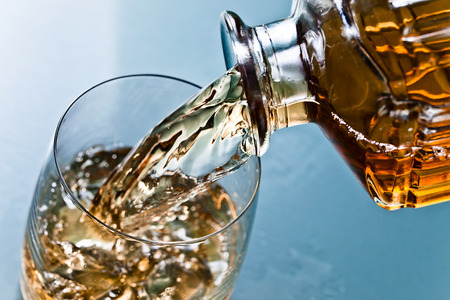 You can remove the germs from medical equipment (like thermometers) by soaking them in alcohol. If you’ve got glue on your hands that regular soap just won’t remove, you can apply alcohol to the area to help it lift off easily. If your car windows are having trouble defrosting, you can wipe alcohol on them to get rid of it. Hard alcohol is going to be a prize item in a SHTF situation. You can stock up on it now so you’ll have extra to trade for other goods you need, or to sell it to make some money. In fact, much of your survival gear, food and weapons will be excellent bartering tools when SHTF. In order to be sittin’ pretty with all the resources, it’s best to stock up on all the supplies you can right now. 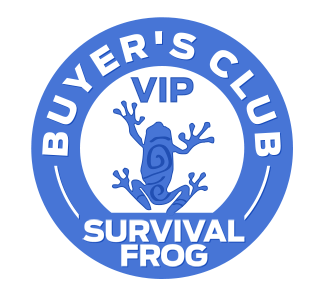 We can help you do this the hassle-free way with our exclusive VIP Buyer’s Club Membership. 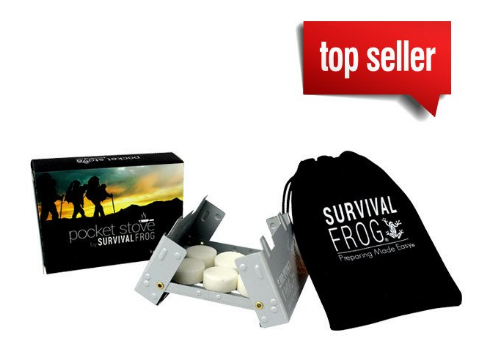 We’ll help you save money on all your favorite survival gear (15% discount and FREE shipping), all while we treat you like a celebrity (priority handling, VIP concierge support, exclusive offers and discounts). Take advantage of the savings and become a member here. When cash is useless, precious metals are a great thing to have to keep the upper hand in emergencies. You can keep them clean by rubbing them with a towel and some rubbing alcohol. Rub some hard alcohol and olive oil on your skin – the bugs and mosquitos won’t want to touch you after that. Use a grain alcohol to serve as a natural disinfectant if you’re in a bind. Note: This can kill other healthy cell tissue in the area, so use it sparingly. If you can’t wash your clothes, the next best thing might just be vodka. Spray it on your clothes to get rid of bad odors. You can also spray this in various rooms of your house to help take out the stink. Pour some hard alcohol into a cup, and then break an egg into it. After an hour or so, the egg should be cooked. Sounds gross, but it’ll get you full in a bind. 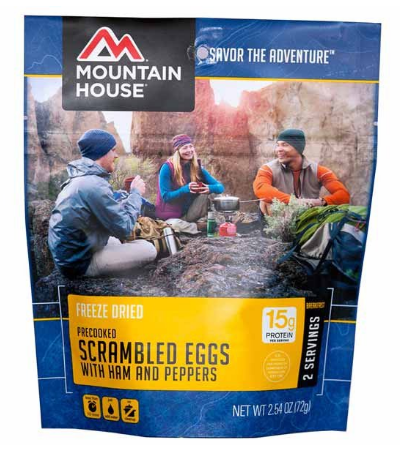 If you’re like me and aren’t exactly keen on cooking raw eggs in vodka, you could always just eat these delicious, healthy and filling Mountain House scrambled eggs instead. Get them here. If you’ve got a toothache or sore gums, you an swish vodka in your mouth to make it temporarily disappear. Note: It may be more than just a toothache…and if that’s the case, you’re going to have a hard time getting very far without a dentist around. 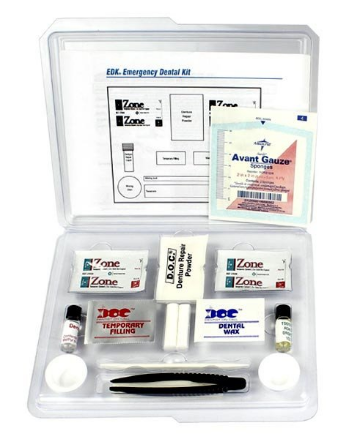 Be prepared to handle any dental emergencies yourself with our Emergency Dental First-Aid Kits. Both our Mini and Deluxe versions come with a handy illustrated instruction manual! Click on the pictures below to learn more. You can disinfect countertops and other surfaces by wiping them down with hard alcohol. Let air dry before using. Some of your fire starters will have a hard time working when it’s rainy outside. Soak a towel in a highly flammable alcohol (like everclear) to start a fire instantly. 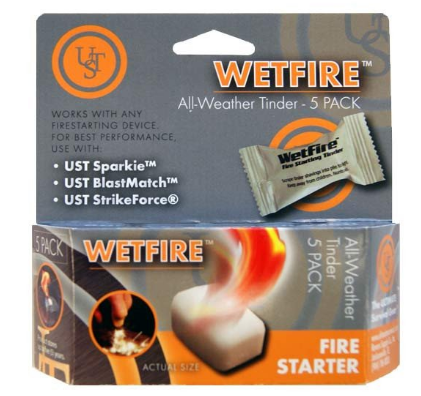 If you don’t have any everclear on you, this Wetfire tinder works AMAZING in the rain! Completely waterproof! Get yours here. You can use alcohol to clean off your firearms when you run out of the traiditonal stuff. Add small amounts of hard alcohol to a burning lamp and it’ll help keep the fire going all night. 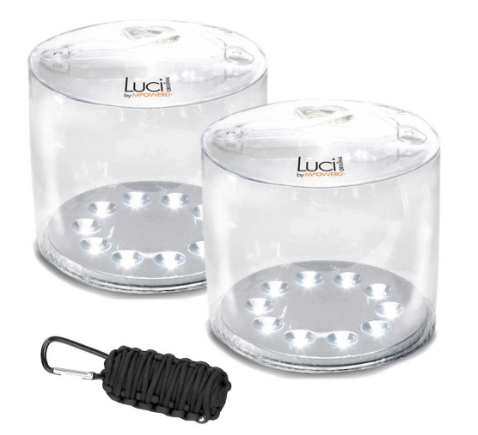 Or, if you don’t want to worry about refueling the fire, you could always use these awesome solar air lanterns instead! Comes with a FREE paracord grenade survival kit! Take advantage of this amazing deal here. Dab hard alcohol onto a rash caused by poison ivy, and it’ll relieve a good amount of the pain. 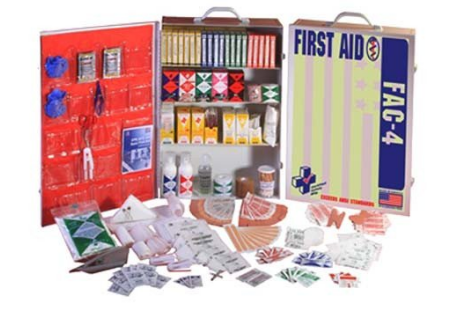 Note: If you’ve got no alcohol on you, you can use this medical kit instead – it includes poison ivy barrier lotion AND cream to soothe your skin! Check it out here. Dab hard alcohol onto bug bites to quickly soothe the pain and itching. Make a solution of hard alcohol and water to remove fungus from the toes, feet and ears. Well, that was 23…but I found a great video that’ll give you way more. It’s also got tips on which alcohols to buy, how to store them and which price range to go for. 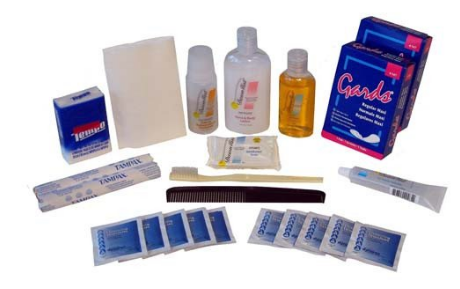 Now as you saw, many of the above survival uses are for medical purposes, like disinfecting wounds and sterilizing equipment. 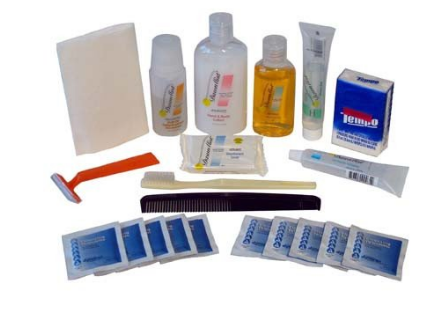 However, you’ll be much better off with an actual 320-piece Medical Kit than you would be with a bottle of Jack. 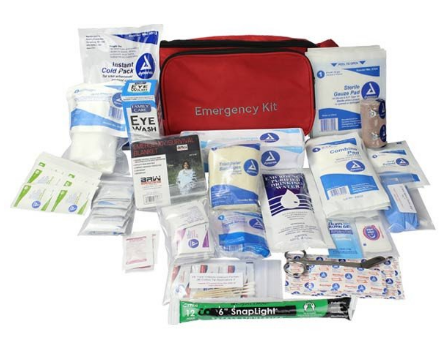 This is the perfect emergency kit for the prepper on the move – it fits snugly around your waist so that you can work on the task at hand, without using up valuable space in your bug out bag. It’s fully equipped, too, with each of its 320 pieces examined and validated by firemen, nurses and EMTs alike. Plus, its contents will take way longer to run out than that bottle of vodka you’ve got. With great equipment like pain relievers, alcohol antiseptic wipes, and antibiotic ointment (and that’s just getting started), you can heal yourself quickly and save that whiskey and tequila for more important matters…like bartering. 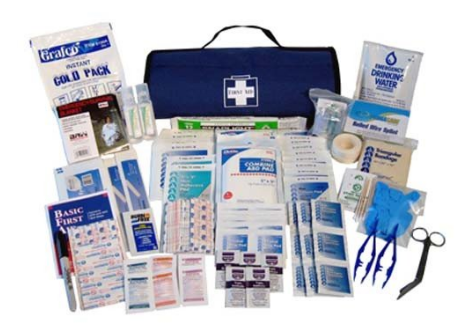 Grab your 320-piece Medical Kit today and stay prepared for what’s up ahead. Click here or on the picture below to get yours. This entry was posted in Cold Weather Survival, Emergency Preparedness, Emergency Survival, Family Survival, Hot Weather Survival, Outdoor Survival, Prepping, SHTF, Survival Basics, Videos, Wilderness Survival and tagged bug out, bug out bag, bug out bag essentials, prepper hacks, survival, what to put in a bug out bag on July 1, 2016 by Survival Frog.